Not to be outdone by Asus' ROG Mothership mega-announcement at CES 2019, Acer also displayed its own showstopper: the 2-in-1 Triton 900 with a 4K 17-inch display. It also includes a top-of-the-line Nvidia Nvidia GeForce RTX 2080 graphics card for high-end performance with games. 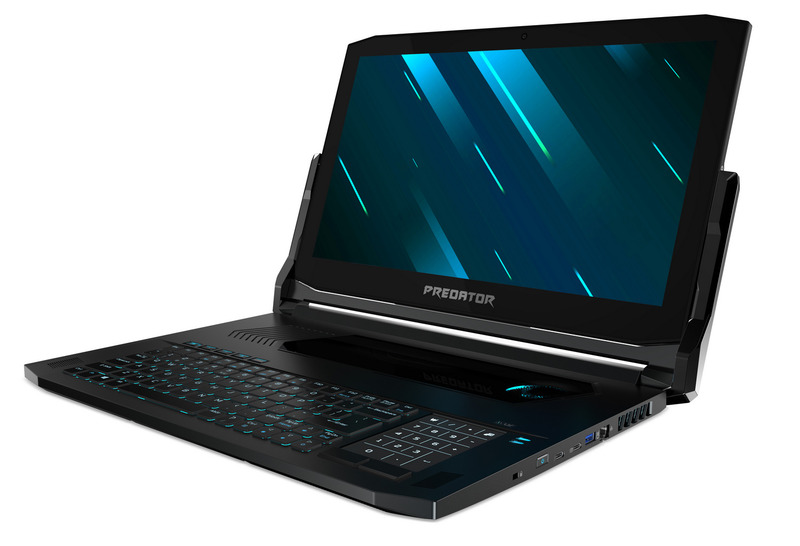 The Predator Triton 900 is a "convertible" with a touchscreen design slotted into a hinge design you'd more likely find on an expensive airplane tray table than laptop. I'm not sure ergonomics is top of mind for most gamers who are willing to shell out $4,000 for a laptop, but it can't hurt either. In case the price mentioned above made you teary-eyed, the company has another affordable option for you - the Predator Triton 500 priced at $1,799. It is called the Acer Chromebook 315 and it is equipped with a 15.6-inch IPS display and comes with up to 10 hours of all-day battery life for web browsing, office applications and even online gaming. That's balanced out by NVIDIA's new RTX 2080 chip for laptops, with 8GB of GDDR6 VRAM. At 17.99mm thick and 4.6 pounds, the Triton 500 is still a fair bit heftier than something like an ultrabook, but that's pretty good as far as gaming laptops are concerned. Despite this thinner and compact chassis, Acer puts in extremely powerful components like 8th generation Intel Core i7 CPUs and the Nvidia GeForce RTX 2080 Max-Q. As a bonus, it has a built-in Xbox controller receiver and a Waves NX head tracking module for impeccable 3D audio. The slimmed down Triton 500 can easily be slipped in a backpack or briefcase, but once taken out and powered on, it becomes a gaming powerhouse. And here's an interesting value-add: Later this year, Acer will publish a PredatorSense Mobile app that allows remote control of some of the laptop's functions: overclocking, fan speed, lighting profiles and audio. It will be available in North America in February with prices starting at US$1,799, in EMEA in February with prices starting at €1,999, and in China in January with prices starting at ¥16,999.